Find and book a range of Egypt top quality day Trips & excursions, things to do, and other Egypt tours. Visit the most interesting places in Cairo, Alexandria, Luxor, Aswan, Sharm El Sheikh, Hurghada, Dahab, Taba & all around Egypt. Explore the best excursions in Egypt with Pictures, information & travel tips. We know how to satisfy your needs & guarantee you best service with lowest rates. Explore Giza Pyramids, Egyptian Museum, Memphis & Sakkara Sightseeing. Day Trips to Saladdin Citadel, Stopovers in Old Cairo. Luxor By Air, Alexandria By Car, Camel Ride, White Desert & Bahariya Oasis Trips. Travel to Petra Jordan, Sharm By Air, Quad Bike Safari Tours in Pyramids, Felucca Ride in River Nile. Visit St. Catherine Monastery, El Minya, Fayoum Oasis & Wadi Hitan. Experience Wadi El Natroun Monastery From Cairo. Travel to Cairo By Flight, River Nile Cruise Trips in Luxor. Visit Abu Simbel, Aswan & Hot Air Balloon Ride. Overnight to El Minya, Sightseeing to The East & West Bank of the Nile. Explore Dendara Temple By River Cruise, Abydos Temples, Sound & Light Show in Karnak Temples. Experience Edfu, Kom Ombo Temples, Kharga and Dakhla Oases, Sunrise and Sunset Quad Bike Safari Trips in Luxor, Egypt. Explore Philae Temple, Unfinished Obelisk, Abu Simbel Sightseeing By Car & By Flight. Trips to Experience Nile Cruise, Nubian Village By Motorboat, Luxor, Felucca Ride on River Nile. Day Tours Visit Kom Ombo and Edfu, Sound and Light Show in Philae Temple, Simeon Monastery and Kalabsha Temple. Enjoy Nubian Museum and Safari Excursions From Aswan, Egypt. Enjoy Snorkeling Cruise Trips to Ras Mohamed, Petra & Wadi Rum in Jordan. Travel to Cairo By Air, Moses Mountain, St. Catherine Monastery, Colored Canyon Jeep Safari & Nile Cruise Day Trips. Explore Luxor By Plane, Giza Pyramids, Old Cairo & Valley of Kings Sightseeing. Experience Quad Biking & Camel Riding in Sinai, Star Gazing, Jeep Adventure in Dahab Blue Hole. Go to Tiran Island, Aqua Park, Red Sea Submarine & Glass Bottom Boat From Sharm El Sheikh, Sinai, Egypt. Travel to Cairo By Flight, Giza Pyramids By Plane, Luxor & Karnak Temples Sightseeing Day Trips. Enjoy Sunrise Quad Bike Safari, Dolphin House Snorkeling & Port Ghalib Marina. Tour Old Cairo, Valley Kings in Luxor By Air, Super Safari by Jeep, Abu Simbel and Aswan. Book Sunset Desert Safari By ATV Quad, Snorkeling Trips in Hamata Islands, Satayh Dolphin Reef. Board Nile Cruise, visit Edfu & Kom Ombo From Marsa Alam, Red Sea, Egypt. 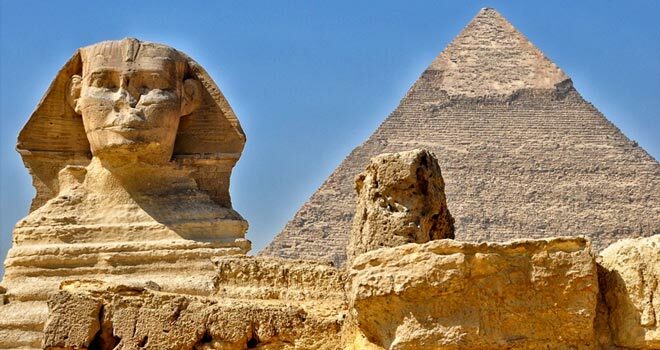 Travel to Cairo By Air, Giza Pyramids and Valley Kings in 2 Days of Sightseeing Trips and Overnight to Cairo By Flight. Visit Luxor By Road, River Nile Cruise, Desert Sunset Safari Trips By Quad Bike, Snorkeling Boat to Mahmya and Giftun Island. Enjoy the Red Sea Submarine, Sharm El Naga Bay & Alf Leila Wa Leila Show From Hurghada, Red Sea, Egypt. In Dahab, When You're Not Diving, You Can Also Enjoy Sinai Desert Trips and Local Area Around. Explore Cairo Sightseeing By Flight, Luxor By Plane, Night Hiking Trips to Sinai Mountain. Book Petra & Wadi Rum Jordan By Ferry Boat and Sinai Jeep Safari to Colored Canyon in Nuweiba From Dahab, Sinai, Egypt. Travel to the Fabulous Sites in Sinai, Egypt From Taba Border Or Your Hotel in Taba, Enjoy Taba Snorkeling Tours in Pharoah isand, Petra and Wadi Rum Sightseeing Trips in Jordan, Moses Mountain, St. Catherine Monastery and Colored Canyon in Nuweiba Jeep Safari Trip From Taba, Sinai, Egypt.